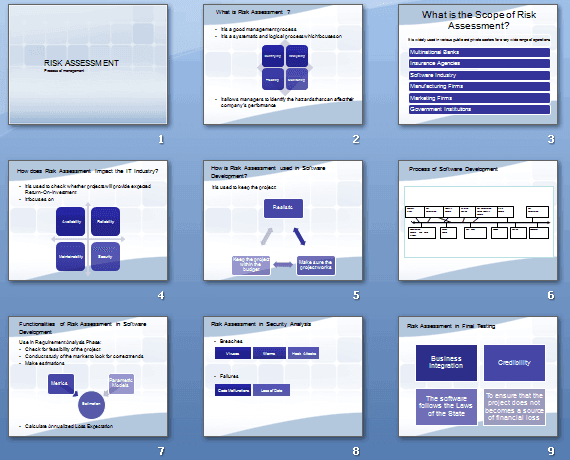 Risk Assessment Presentation (15 PowerPoint slides, .pptx file) — check examples below. 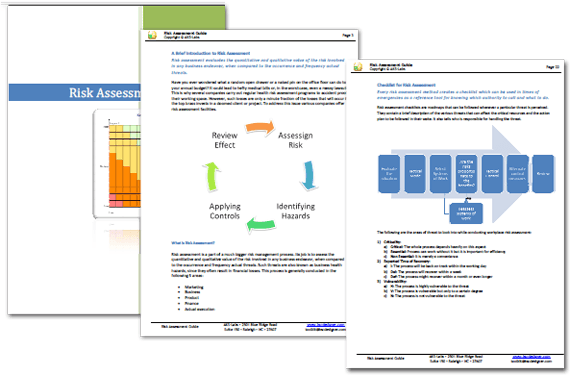 The objective of Risk Assessment Guide is to create awareness amongst the readers regarding the potential benefits of using risk assessment as an active tool in any company’s work structure. It is actively used in both private and public sector organizations across a wide range of services and activities. For instance, consider a situation where a doctor is presented with two potential candidates for heart transplant. One of them has a record of alcohol abuse, while the other is a healthy primary school teacher. By conducting a simple risk assessment methodology on the two cases, the doctor will realize that it would be advisable to treat the second patient, since he will make better use of his new life and is more likely to survive the process. Have you ever been in a situation where you were made to wonder: Will this product sell and what will happen to my career if this product sinks? Then you know the fear such situations can elicit. However, there is a way to counteract such fears and it is known as risk assessment. It is the job of the stake holders to order the implementation of this process, based on the requirements of their managers. It is commonly used by software engineers, insurance dealers, corporate or small business stakeholders and health inspectors. Theconcept of a balanced scorecard was first proposed by Dr. Kaplan in 1992, and even he accepts that the only thing the tool lacks is a risk assessment function. There are three outputs of a balanced scorecard analysis report: Strategy, Target and Vision. Risk assessment analysis can be applied to all the three finer points to ensure investment in the right direction. The last variant can be used to design automated tools for conducting risk assessment. Since its inception, risk assessment as a business technique has faced very little competition. The only alternative to risk assessment is predictive functioning. It is not just a business tool and has been proven to be effective in health, environment, banking, software, and many more fields. Risk assessment can be used in almost every industrial setup in the world. Risk assessment affords different advantages for differing organizational setups. Case studies of a textile company planning to outsource to Pakistan, a banking firm creating a disaster recovery plan, an IT company involved in software development, an international merger of two leading shoe brands and an insurance agent conducting research on insurance for a wind farm help understand how risk can be predicted and therefore minimized. Risk assessment is a systematic and logical process focused on identifying, analyzing, treating and monitoring the various risks that can hinder the smooth functioning of any business institution. By integrating it into the curriculum of an organization’s work stream, managers can ensure informed and productive decision making. 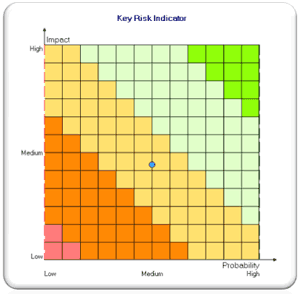 Risk assessment can even be run using the balanced scorecard to help in strategic planning. Does my organization need risk assessment? What do I stand to gain from risk assessment? What options do I have for conducting risk assessment? Who is responsible for risk assessment in a company? A checklist should always be created before starting risk assessment to ensure that all aspects where threat is likely to occur have been covered.